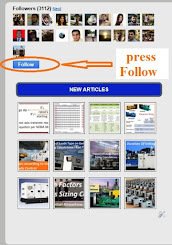 It teaches you, How to estimate electrical construction projects, including everyday labor installation rates. The contents of this book have been designed in such a way that electrical instructors, electricians, electrical engineers, architects, blueprint readers, etc. can draw some benefit from it, even if only for reference material. 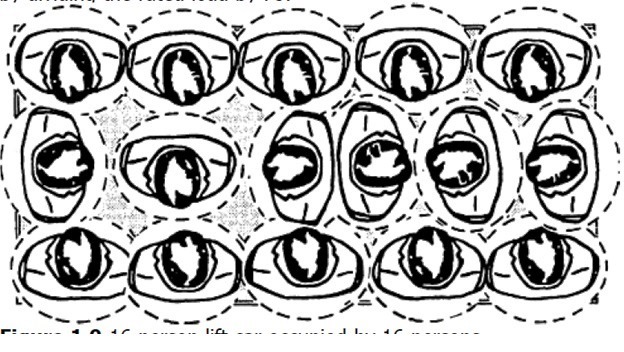 Those individuals who have some electrical experience and want to advance themselves into the electrical estimators’ circle should study the material contained herein. The entire format has been designed with the beginner as well as the seasoned estimator and others in mind. Partial plans of a typical office building are included to show the utilities coming into the building the site lighting, interior lighting, panels and power distribution devices, safety and communication devices, mechanical equipment, and electrical services to properly depict the various electrical materials in place. Rough takeoff sheets have been developed for all of the electrical materials shown on the partial plans and associated materials required for a complete installation. This book will show you how to transfer all of the materials shown on the rough takeoff sheets to estimating sheets for inserting prices and labor hours. The next step shown is to total all of the labor (material is not priced here due to each contractor’s specific pricing structure) and transfer the hours to a final recapitulation sheet. This final recapitulation sheet will include all pricing, labor hours, nonproductive labor, job expenses, hourly labor rates, overhead, and profit. Following the job estimate, there is a section on actual labor rates for thousands of items of materials and installations. These have been time-tested in the field and applied by many contractors whom I consulted for in the past (see “About the Author”). A complete sample estimate has been included here to show exactly how a professional estimate is formulated. Although the prices of the individual materials are not shown on the estimate pricing sheets, there have been allowances inserted on the final recapitulation sheet so that you can go through this sheet from beginning to final bidding price. At the end of this book there is a miscellaneous section of formulas, charts, schematics, conversions, lighting levels for most common places, and blank estimating and related business forms. 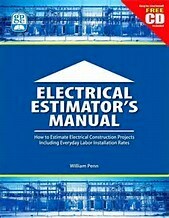 Chapter 1: How to Estimate Electrical Construction Projects. Chapter 2: Electrical Material and Labor Takeoff. Chapter 3: Labor Rate Schedules and Forms, Charts, and Diagrams. Chapter 4: Sample Estimate and Forms.